Whether you have a wedding, cotillion, or Kentucky Derby party, signs can add both information and a finishing touch to your event. Just a few ideas of what I can create for you are welcome signs, chalkboards, table decor and menus, seating charts, placecards (not just on paper! ), guestbook signs, and more! Chalkboards are a lovely way to display information at your wedding or event. They can be made more formal or kept casual. Common usage is for welcome signs, seating charts, table numbers, buffet items, event hashtags, and more. Colored ink is also available. Pricing varies based on size and detail of sign. Customer usually provides chalkboard. Please see the gallery for more examples! Wood is a great way to keep signs rustic and homey while still decorating your home or event. Wood gives the customer the option to select different colors of stain to have it match the location. Pricing varies based on size and detail of sign. Customer usually supplies wood sign. Print signs are where your imagination can really run wild! Printing opens up the opportunity for even more color and design. 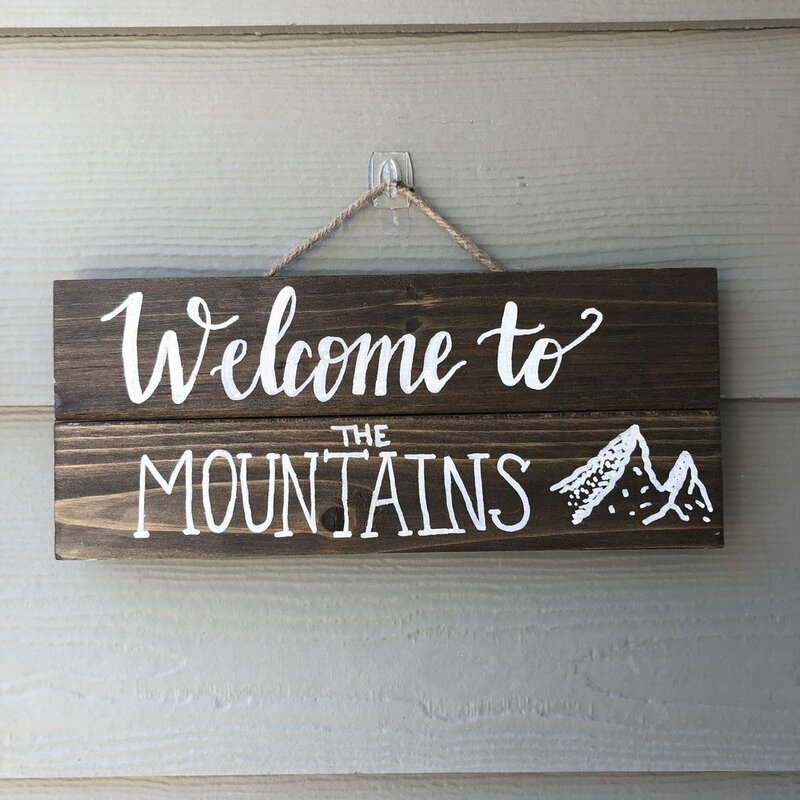 Print signs are a nice alternative to chalkboard or wood, as they can be framed or printed to the exact size specifications you would like. We can print large poster-sized prints as well!